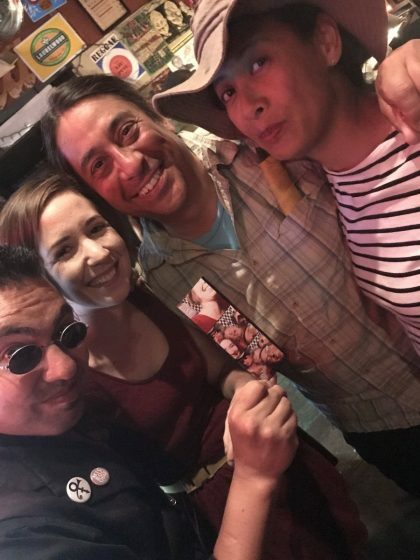 Armando (center) at the Photo Booth ride Thursday night. Armando Luna is everywhere. From monthly advocacy meetings to late-night party rides — this guy soaks up the cycling scene. During Pedalpalooza — the month-long, grassroots festival of creative bike rides and events — he kicks it up a notch. So far this month (we’re 21 days in), he’s attended 29 rides. 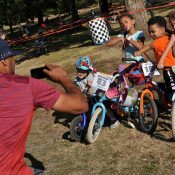 How long have you been doing Pedalpalooza rides? I don’t really know! I don’t remember the early years, mostly because I was a new dad, that sort of took everything over. When the kids were young they ended up attending a daycare downtown, so when they were old enough I’d pull them in a trailer to daycare, then ride to work. 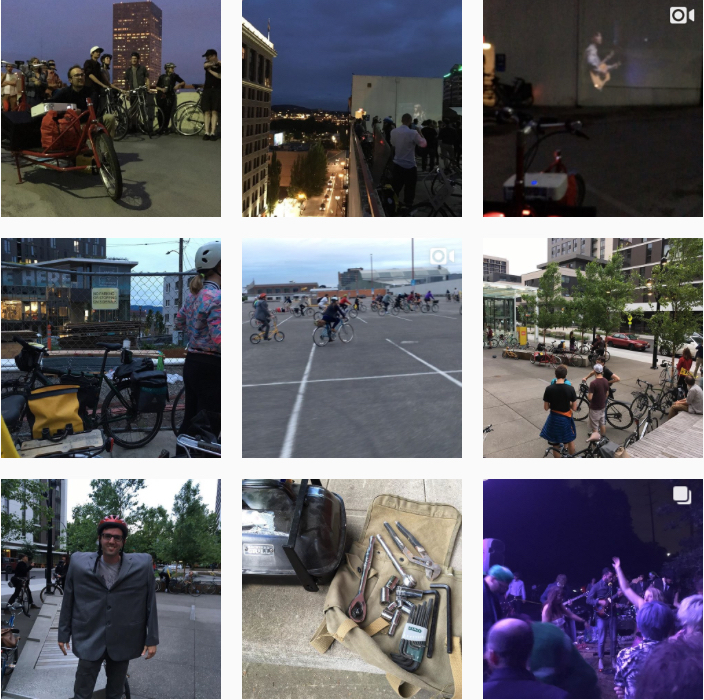 Armando’s Instagram feed is a fun peek into his Pedalpalooza exploits. How many rides have you done this year? My goal is to do at least one ride/event a day. 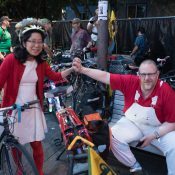 Thirty days of Pedalpalooza, at least 30 rides/events. As of today, Tuesday June 21st, I have done 29 rides/events. I count an event as something like Breakfast on the Bridges or the Squirrel Jam. It’s the final week! Check the calendar and don’t miss your chance to join the fun. How do you fit them into your schedule? 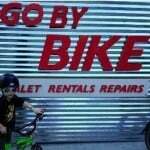 I am recently divorced, so when my kids are with me it’s a bit more challenging to ride. I always invite them to every ride I go to. 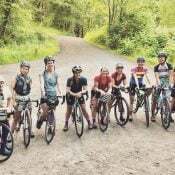 They’ve done a few with me so far, but I’d rather hang out with them so if they are not into riding I try and pick what might be a shorter ride or event, or I just bail early. When they’re not with me I exhaust myself trying to do as many rides as possible. What have been your favorite memories so far this year? Riding with two friends on a three seat “tandem” (what do you call these?) for the Alameda Stair Climb Ride. I attended my first Prom [the Dropout Prom] this year — it was spectacular! The Dr. Who Ride was super fun, even though I have never watched the show and don’t know what a “dalek” or “tardis” is. I enjoyed the Summer in SoPo ride because it was the ride leader’s first ride ever, and her enthusiasm carried the ride. 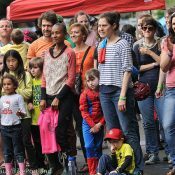 What’s one assumption about Pedalpalooza people get wrong? What are your picks for must-do rides coming up? I’m leading my first ever ride this year — the Twin Peaks Ride. I made a movie trailer and got some great prizes for giveaways. Everyone in Portland should do the WNBR [World Naked Bike Ride] at least once. Dad’s on Vacation, Karaoke Ride, another Goth Ride, and I hope to take over the Ding Ding Ride, because it’s not on the calendar. Pick a ride that interests you, and go! Bring your family. Tell other participants it’s your first ride so other riders will look out for you or answer your questions. Don’t feel like you have to finish the ride if you’re not into it. Another one of my goals this year was to pick rides I wouldn’t normally pick. There’s a whole week of Pedalpalooza left, so take Armando’s advice and don’t miss out. For more inspiration, follow his fun bike adventures via @dudeluna on Instagram. I consider myself so honored to be Armando’s friend, although I don’t know of a person he wouldn’t be a friend to, if they wanted to. I was there to witness Armando’s 30th ride (PhotoBooth Ride, that’s my photo at the top) last night, and he rocked it like a pro, as usual. He’s the personification of Pedalpalooza, and what we all hope to be: generous, friendly, fun. Keep going, buddy! oh man! thanks so much PJ! I’ve worked on the Hill for 9 years and I’ve seen Armando on the tram more times than I can count. He always seemed like an interesting dude…and now I know that he is! Go Armando! These profiles, portraits of people in our city who bicycle should be included far more often. They show the heart and personality of the population here. These stories due far greater work towards bringing people together around the topic of cycling, in my opinion. We need more stories on individuals and their passionate ties to the bicycle, no matter the form it takes. Thanks. that’s great feedback monkeysee. Thanks. I agree with you. I feel like I used to do more posts like this in “the old days” of the blog… But these days I am not getting out to rides and events nearly as much as I used to and therefore these kind of posts don’t come as easy as they once did. I’m sure you’re spread thin. Those ride along posts were awesome. If I could only write, I’d help ! Armando is the best! Always a pleasure parking his bike. Great laugh too! I met Armando through Instagram, so I know him as dudeluna. He was at all the rides I was not at, so I was able to see what I was missing. We were on the Talking Heads Ride together and caught up. I’m still advocating for a Dudelunapalooza to happen. Digging this piece! I love seeing Armando EVERYWHERE. He’s someone who really ties the community around Pedalpalooza together. Thanks for all you do, Armando!